Today is the 70th anniversary of the liberation of Auschwitz. Ten years ago I was there for the 60th anniversary, documenting the making of a film by director James Kent, remembering the role that music played in Auschwitz. There were several orchestras in the camp, made up of inmates, who were forced to play for the entertainment of SS officers, and as a musical accompaniment to executions. 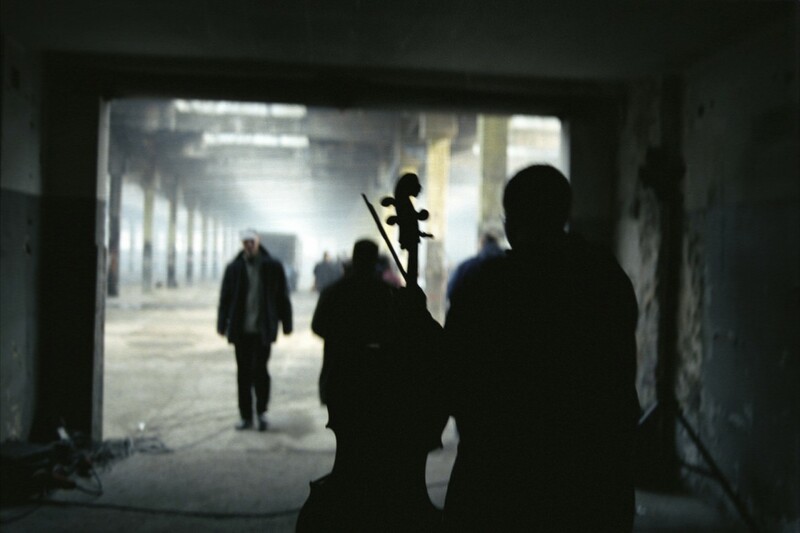 In this picure, musicians from the Sinfonietta Krakovia enter the former munitions factory at Auschwitz.